M4Photo now offer on-site event printing. Following a very successful day at the recent Eclipse Gymnastics closed competition; it became evident that there is a market and a need for both the Canon Professional Printer and also a fast event printer that can be used to quickly print photographs for people whilst they wait on site. Whilst I still maintain that I would prefer to wait a day or two and receive a high quality print, it was clear that numerous people would have preferred to pay for a fast print to take away on the day. I guess that I will therefore have to give in to the inevitable and concede the debate that has been going around in my head for far too long. 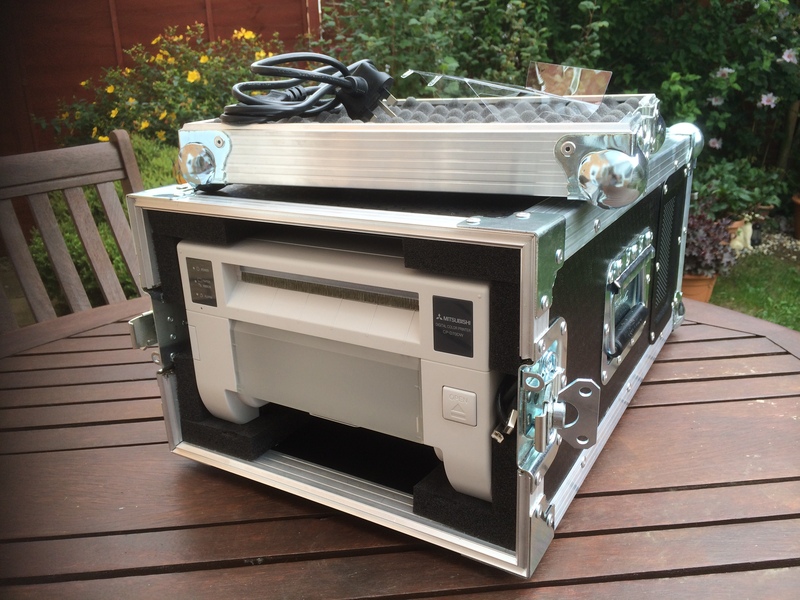 I am therefore pleased to have managed to secure a Mitsubishi event printer for a good price and the deal included a hard wearing flight case to protect this valuable asset. The model acquired is the CP-D70DW which is published as a professional event printer which is designed to print images at the popular 6×9″ size. The flight case even has room for the USB and power cable, which means only two boxes – the printer and a separate box for the media. I have run a quick test and the printer works fine right out of the box. Configuring the driver was easy on Windows 7. I was instructed not to use the supplied CD, but to download the latest driver from the Mitsubishi website. With that installed, the printer was connected, powered up and I produced a 4×6” print right out of Lightroom within a few seconds. Yes, you read that right, a 4×6” print proving that this wonderful machine will enable us to offer both 4×6″ and 6×9″ print options right out of Lightroom for on site printing. At the present time, we will not be able to print in the field without access to electricity, but a portable generator is now firmly on the wish list, along with an event tent to keep everything dry. I guess this means another M4Photo website update as we now have something new to offer our clients and the list of can-do’s keeps on growing. 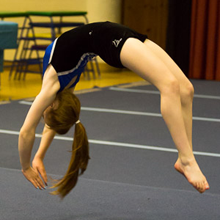 May 17, 2014 Gymnastics Leave a comment Eclipse Gymnastics 2014 Internal Competition. Thank you to everyone at Eclipse for making us so welcome at this morning’s Internal 2014 competition. The routines were ace and it was amazing to see so many young and new gymnasts putting in such great performances. 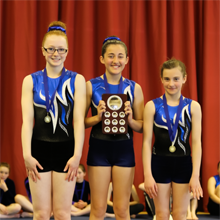 We learned a lot from this competition and we hope that you like the images which are now available online in the usual Eclipse Gymnastics Gallery. Thank you to those of you that placed orders. The digital .jpg files that have been paid for will be emailed to you over the next couple of days, Paypal invoices will follow very shortly. The prints will be printed and taken up to the club the week after next when we have the ordered mounts available. Many people only grab their flash for indoor and low light situations. 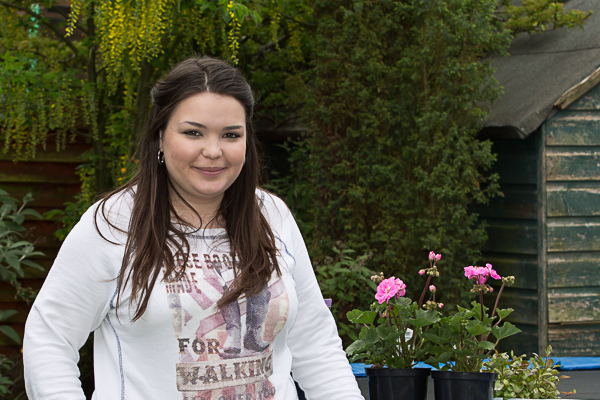 However, sometimes a little fill flash can be helpful whilst shooting in bright outdoor situations. Today is bright but really very overcast and this evening I’ll be hoping to get a few photographs at Archers of Raunds during Brad’s presentation and also some shots of the beginner’s course for a presentation. Working with the world’s greatest soft box and the potential for a back-lit shoot, I thought it best to experiment with my new camera, 70-200mm lens and fill flash. So grabbing Lauren for an impromptu couple of shots in the back garden (back-lit of course), we tried a few shots with and a few without the flash operational. As expected, the results speak for themselves and really underline why professional photo journalists often carry an on camera flash. I think that I’ll still play safe tonight and have the flash fitted and ready to fire, but also take some shots whilst the flash is charging to be sure of capturing at least one good image. It’ll just be a shame not to be able to use flash whilst the archers are shooting – I guess health and safety have to come first again. In this image the flash wash not used and the shadows on Laurens face and especially her eyes cause an issue with the photograph. In portraiture photography and taking images of people, everyone knows that it is especially important to focus on the eyes. It therefore follows, that by having Lauren’s eyes almost totally obscured by deep harsh shadows we have a less than perfect image and I’d go as far as to say that it is one for the cutting room floor. I don’t know about you, but I find that my eyes are initially drawn more to her forehead and cheeks and then they drift away to other parts of the image, like the flowers. Now let’s add some fill in flash. I did not have a reflector or anything to bounce flash off of, but those will be the conditions this evening so this test was perfect for my purposes. So, my only real option was to fire the on camera flash straight at the subject. Angling the flash simply lit up the sky someplace else and, predictably, it was worse than useless. 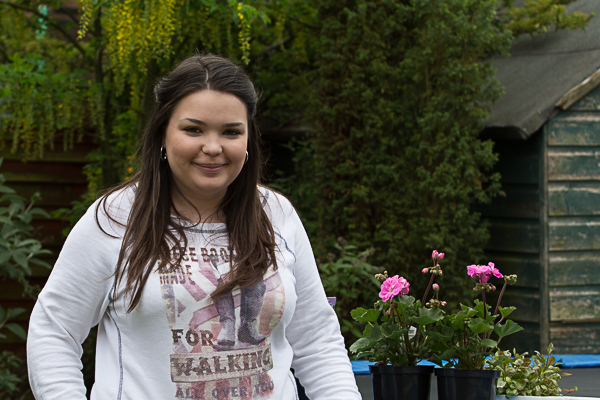 Lauren is standing a good six feet form the background (shed and green foliage) and about a foot or two forward of the flowers. Using my 70-200mm (@ 70mm) had me standing a good six feet away from Lauren. Again just about right for this evening. The flash would therefore not affect the background very much, but it was only Lauren that I needed the fill flash to hit. This is a crude test, but I think that the results speak for themselves. In the second image we pick up the flash in her eyes which are perfectly illuminated. picking up the whites of her eyes draws your attention more to them and the key subject of the image, rather than other parts of the image. Even with a very light coloured top, the image looks reasonably well colour balanced throughout. A successful test and a good reason to try fill-in flash even during bright overcast conditions.